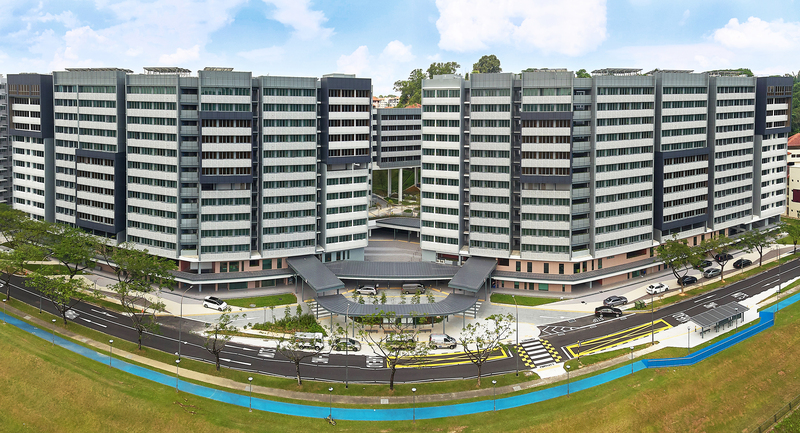 SAA Architect’s (SAA) Residence Halls at Nanyang Crescent, NTU project has won Platinum at this year’s Construction Productivity Awards (CPA), the highest accolade conferred by Singapore’s Building Construction Authority (BCA) for productivity and efficiency in the design and construction process. Composed of one 11-storey and three 13-storey buildings for students’ residences, whole prefabricated rooms complete with internal fixtures such as windows and lighting were stacked on top of each other “Lego style” to construct the buildings. Known as Prefabricated Pre-Finished Volumetric Construction (PPVC), this method enables prebuilt rooms to be stacked into a building onsite – saving up to 25 to 40 per cent in manpower onsite and 15 to 20 per cent in construction time. It also reduces noise and dust pollution onsite as more activities are done off-site. SAA is part of the project team honoured with the Platinum CPA – Projects award in the Residential Non-landed Building category (for projects with GFA more than or equal to 25,000sqm). The CPA recognises outstanding firms and industry practitioners for their achievements in improving productivity. It also aims to promote productivity and to serve as a platform to measure productivity in the industry. The CPA – Projects 2018 is awarded to project teams that have demonstrated productivity in their construction development projects from the design to the end of construction.